A lyrical excerpt from Zen Master Tova Tarantino Toshiba: The Illustrious and Delusional Abbess of Satire. Sister Melody sang from the moment she awoke until she closed her eyes to sleep. She sang ballads, love songs, sonnets, marches, folk, traditional, blues, and spirituals throughout the day and night. She couldn’t help herself. It was her nature. Though she had a beautiful voice, her singing could be annoying during times of quiet meditation. Nobody had the heart to ask her to stop, but many of the Sisters approached the Abbott and asked her to do something. “I’ll see what I can do,” the Abbott always replied, but did nothing. After a few years of inaction, the Sisters took matters into their own hands. They told Sister Melody that the Abbott had asked her to sustain from singing another song. Sister Melody was heartbroken, but complied. She became increasingly depressed and morose. Eventually, the Abbott noticed and asked her what had brought on such a state in one who had previously been so joyful. The Abbott shook her head. Sister Melody immediately broke into song. Her face beamed with delight. Many tuneful stories at: Zen Master Tova Tarantino Toshiba: The Illustrious and Delusional Abbess of Satire. Throw the pages and script from Alice In Wonderland, Orphan Annie, Where The Wild Things Are and Nightmare Before Christmas into a boiling pot, and the result will be a sweet and bitter taste of Grimly Jane. This story will resonate with adolescents, and parent’s who read it to their children. The title alone, is enough to capture one’s attention. Ms. Alexander has created a unique, yet familiar world, where Jane Worthington finds escape and magic, in the Other World, to get revenge on those who tortured her emotionally and physically at the Rudorf Home for Foundlings in Ghastly Hollows. Dame Rudorf, Mrs. Bunton, Elsa Rudorf and Henry, don’t know what awaits them once Jane disappears through the Red Door at the orphanage and becomes a student of Heindorf Von Evil, nor does Jane, though Heindorf’s assistant, Rosamund, tries to warn her. Acts of kindness, cruelty and plain old low-down meanness, are received by Jane throughout her younger years, after her parents’ have died of fever and she is committed to the children’s home. Once she has escaped, she must choose whether to continue, and impose such suffering on others, or look closely at herself and see if perhaps she has become what it is she has hated for so long. 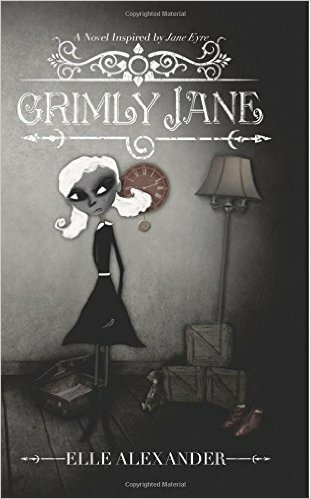 Grimly Jane is a wonderful adventure, and apparently the beginning of a series, as there are many unanswered questions at the stories end. The illustrations, also by the author, are amazing and fit perfectly with each of the character’s in the book. More time at the school of magic and an ending that comes together a little sharper, and is easier to understand, are the only variations this reviewer would have preferred. — Gabriel Constans writes fiction and non-fiction, for adults and children. He also writes book reviews for The New York Journal of Books. From Abbott Toshiba’s 14th Lama Sutras. Some words out of Zen Master Tova Tarantino Toshiba: The Illustrious and Delusional Abbess of Satire. Zen is another word for meditation. Meditation is another word for mindfulness. Mindfulness is another word for vipassana. 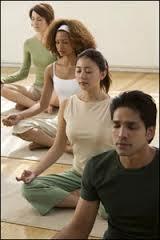 Vipassana is another word for awareness. Awareness is another word for satori. Satori is another word for presence. Presence is another word for Buddhism. Buddhism is another word for Buddha. Buddha is another word for one who is awake. Being awake is another word for meditation. Meditation is another word for Zen. What is Zen? It’s another word. Many more words at: Zen Master Tova Tarantino Toshiba: The Illustrious and Delusional Abbess of Satire. A timeless excerpt from Zen Master Tova Tarantino Toshiba: The Illustrious and Delusional Abbess of Satire. The great Abbott used to always say, “I’s am what I am.” She wanted people to be real, to be themselves. She had little patience of fakers, swindlers, liars, or those that put on robes of pretention or airs of superiority. She was down to earth, honest, sincere, and forthright. One day a great yogi walked across the water and presented himself before the Abbott, and the sisters who were having a picnic by the lake. “Would you like some bread,” the Abbott asked. The great yogi had no reply. He turned around, walked out upon the water, and slowly sunk into the lake. Some may say these events never took place and others may say it is a metaphor. 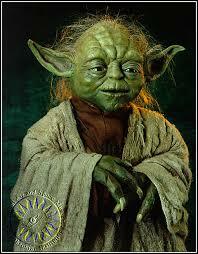 May the metaphors be with you. More miracles at: Zen Master Tova Tarantino Toshiba: The Illustrious and Delusional Abbess of Satire. From The Mistress’s Secrets. Book 5, Verse 66. An excerpt from Zen Master Tova Tarantino Toshiba: The Illustrious and Delusional Abbess of Satire. What’s the sound of one eye blinking? More cosmic questions at: Zen Master Tova Tarantino Toshiba: The Illustrious and Delusional Abbess of Satire. A relayed excerpt from Zen Master Tova Tarantino Toshiba: The Illustrious and Delusional Abbess of Satire. There are reports that The Master had the ability to fly through the air and jump from the ground to the roof in a single movement (though there are no documenting photographs or film clips to verify such claims). It is more likely that she used a ladder to climb to the roof. She was also a good tree climber as a child and continued the practice into her later years. The Abbott often encouraged her students to go upon the roof in order to get a different perspective on life. Whenever the Abbott went missing, this is the first place the sisters would look and often where they found their teacher. During high or low holy days, when many from the adjacent towns, villages, and cities came to hear Master Tarantino, she often gave her talks and seminars upon the roof. If it got to crowded, people would pass on what she was saying to those on the ladder, who then passed it along to everyone on the ground. By the time the last person heard The Master’s words whispered in their ear it might have sounded somewhat different than the original teaching. 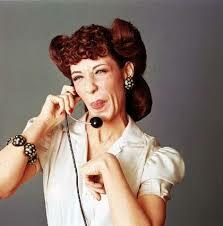 These talks became known as the Telephone Sessions. More connections at: Zen Master Tova Tarantino Toshiba: The Illustrious and Delusional Abbess of Satire. From a talk to sisters during the sunny season. 210 B.C. A deserving excerpt from Zen Master Tova Tarantino Toshiba: The Illustrious and Delusional Abbess of Satire. Let’s speak of karma and cause and effect. This is an important concept that is often misunderstood or diluted with theory and make‑believe. 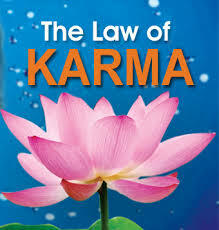 Karma is simply a word we use to try to describe the reality of one thing affecting another – action and reaction. What you put in one end comes out the other. Nothing exists in a vacuum, unless you’re a piece of dust, which has been sucked up from the carpet. In that case, your entire existence is in a vacuum. Everything we do, say, think, or feel goes out into the universe. Sometimes the universe spits it right back at us, and at others it goes through a long wash cycle until it is clean and folded. There are millions of karmic vibrations intermingling, bouncing off one another, and influencing the direction we are going. That is why it is vital that we stay awake and conscious of what is occurring (unless we are sleeping of course). When we are aware, we can then make choices, and not just react out of ignorance, drowsiness or a craving for a latte. Whether these conscious choices make any difference is dependent on your reactions to this teaching, and whether you are dust in a vacuum or just another cog in the karmic dream machine. More karmic influences at: Zen Master Tova Tarantino Toshiba: The Illustrious and Delusional Abbess of Satire.